Payments are becoming more important. Pretty much every payment processor was present and visible, and they were getting a lot of business. Everyone that I spoke with said that they were having great and potentially profitable conversations with prospective customers. I don’t have a count, but it appeared that many more payment and payment-related companies were exhibiting this year than in years past. Retail integration isn’t here yet … but it might be coming. Retail is an a-la-carte space with everything from order management to inventory control to payments delivered through separate vendors. Online is different since the lack of physicality makes it much easier to combine functions onto one platform. A few organizations are offering the equivalent of an integrated online solution in the physical world. Mi9 is a good example of a company that has engineered itself to provide a retailer with everything it needs to run its business. There has to be a lot of efficiency in working from one platform. I expect to see more of these offerings next year. Unattended retail is happening, but it’s not what I thought. Amazon Go remains the archetype for a checkout-free store, and a lot of energy was going around unattended retail, but instead of thinking of a convenience or grocery store as the model, consider instead a vending machine on steroids. 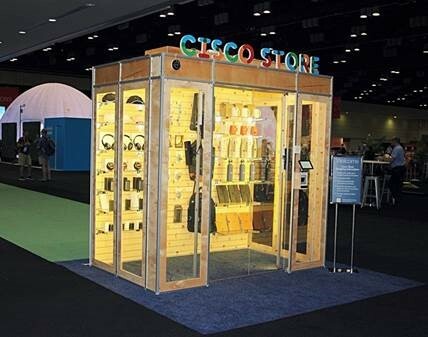 Take a small enclosure, such as 10 feet by 20 feet, embed it in a larger space, such as at an airport or a large retailer, put relevant merchandise inside, use a customer’s payment card to enable access, and suddenly a new category of retail is invented. One notable example from the show is DeepMagic. It has a solution that uses just three cameras and a whole bunch of artificial intelligence to track customer behavior in the mini-store; it really works well. Other companies displayed similar solutions, and it appears that the “mini-store” may be the logical next move in unattended retail. My overall impression is that payments are becoming increasingly important in the retail space, the lines are blurring between payments and other aspects of retail, and unattended retail will take off in form factors that we’ve not really seen before.